Millions of people in America have experienced the loss of one or more of their permanent teeth. Whether caused by poor oral care, injury, old age or professional extraction, tooth loss can change every aspect of your daily life in a number of negative ways. While missing back teeth may not be the first thing people see when you smile, they are key to maintaining good oral and physical health. If you do not replace your back teeth, you will lose the bone that supports them. You run the risk of bite collapse as well as a decrease in your chewing efficiency thus impacting your dietary choices. Losing back teeth causes your face, cheeks, and lips to sag. This slack appearance serves to make the individual seem years, if not decades, older than their biological age. 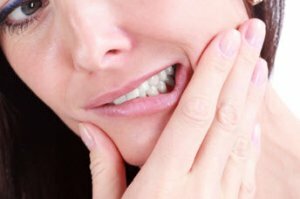 You can also experience excessive wear or erosion of remaining front teeth because they are receiving more stress as fewer teeth are handling the workload. When any tooth is missing, the hole that remains in its place leaves the gum tissue there more susceptible to disease and deterioration. This can spread to other healthy teeth in the area, causing even more potential problems like advanced periodontitis. Depending on the severity of the disease or tissue degeneration, surgical procedures may be the only measures effective in fighting further damage. Fortunately for people who have suffered the loss of a single tooth or multiple teeth in the back of the mouth, dental implants can correct the issue. Dr. Mohammed Erakat will assess the area and any damage that has been sustained, then develop a treatment plan tailored to your individual needs. If you are missing one or more back teeth, our office can help! Our office welcomes the opportunity to help you get a beautiful, complete smile with dental implants. To find out more about dental implants, wisdom teeth removal and how they can improve your dental health call Prestige Oral Surgery for an appointment at 732-297-7000.